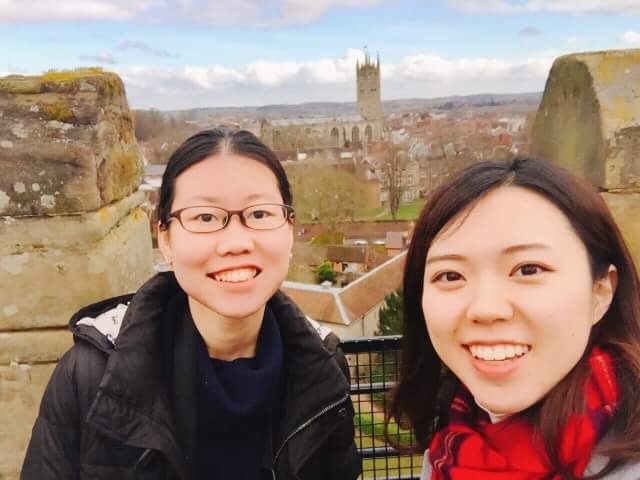 Danqi Lin is a student at the University of Rochester and is an ISA Featured Blogger. She is studying abroad with ISA in London, England. London is a fun city, but there is a lot more to see in the UK than just London. In this photo blog, I will list four British city-escape destinations I have been to. Stratford-upon-Avon is a quiet market town in Warwickshire, beside the beautiful Avon river. It is well-known as the birthplace of William Shakespeare, the world-renown British poet and playwright. 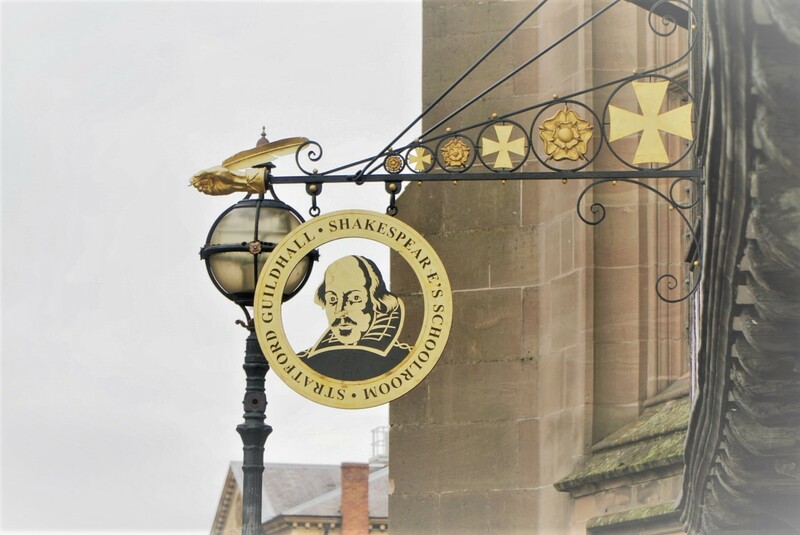 In Stratford, you can visit Shakespeare’s family house, his grave, his wife Anne Hathaway’s cottage, and the grammar school where he completed education. The ancient Warwick Castle is also close by, in which you can learn more about medieval lifestyles, see a joust, and enjoy a panorama view of Warwickshire. Stratford-upon-Avon is a small place, and one day is enough for most people to go through all the attractions. It takes about 2.5 hours to travel there by bus or 2 hours by train. You can also go to Stratford by joining a day tour with ISA, your host university, or local travel agents. One of the motes of Warwick Castle. Windsor, a historic market town an hour of travel from London, is well-known as a constant residence of the Royal family, and as the location of the world-renowned Eton college. Quiet, small and friendly, Windsor is the perfect place for a half-day getaway from London. You can pay a visit to the opening parts of the Windsor castle (certain accesses are closed during winter), listen to the choir in St. George’s Chapel, see the outside of Eton college, or simply relax with a good walk in the town and around the countryside nearby. York is a historical city located in northern England that existed as early as the Roman empire. The city is very small, and tourist attractions are located within walking distances from one another. Personally, I arrived in a Sunday afternoon, did all the sightseeing, and left the next day at noon. It’s entirely plausible to make it a day-trip, but traveling to York takes longer than to Stratford, and the train ride is about 2 hours and 20 minutes from London. Overnight is preferable if you don’t want to be stressed out, plus you can go on a free ghost hunting tour in the evening with a local guide and hear tons of creepy horror stories about the city’s history. Must-see attractions include the York Minster, the biggest Gothic cathedral in UK; Clifford’s Tower, a medieval mote with a large museum; and the Shambles, real-life “Diagon Alley” filled with ancient little houses. There is also a chocolate factory in which you can learn more about chocolates and hand-make your own. Komedia is a combined venue well-loved by Brighton locals, serving food, drinks, movies, and comedies during after-work hours. Brighton is a seaside resort town located in the south of London. During the summer seasons, London residents rush towards Brighton for its cooler weather and fresher air. But in winter, the town is quiet, peaceful, comfortable and is the perfect place to spend an affordable weekend. Riding the bus to Brighton takes about 2.5 hours and costs as little as 11 pounds. Trains are a little more expensive but generally cost less than 25 pounds for a return. Overnight stay is cheap in Brighton, and hostels cost less than 15 pounds for a night. There is a lot more to do in Brighton than simply a visit to the Royal Pavilion. You can enjoy sunsets on the beach, explore street arts throughout the city, find out small venues the locals love to go after work, walk around the countryside in Hove, and visit the home of Rudyard Kipling – the author of the Jungle Book.